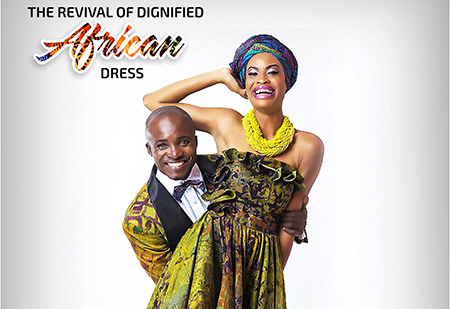 “It is no taboo to go back and retrieve what one has forgotten” -Proverb, Ghana. 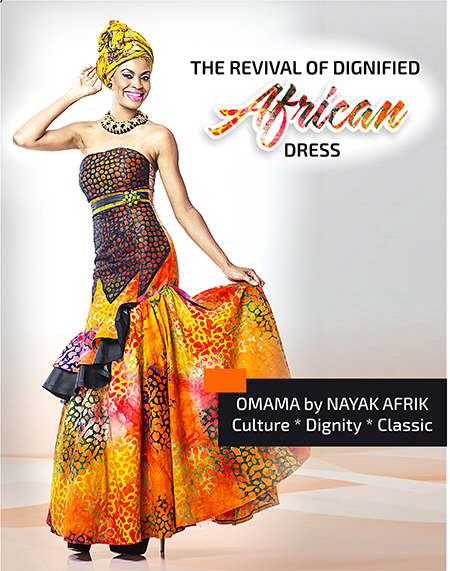 With greater acceptance of self has come a renewed pride in the African Personality. The well-heeled, the professional and the culturally aware do not only don fashionable imports; they actively seek fabrics, garments and accessories that portray the beauty of their own culture and tradition. 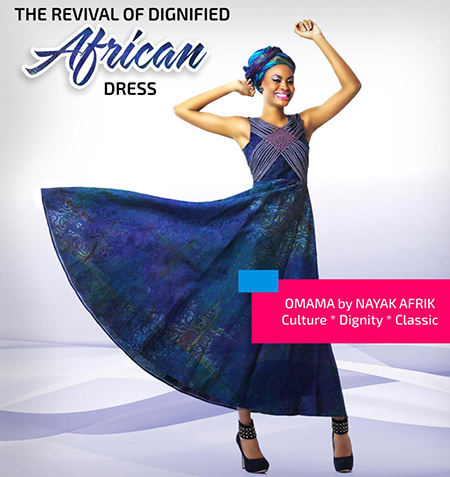 A bright generation of taste-makers and professionals are creating and supplying clothing and accessories to meet the demand for the African and Afrocentric look. 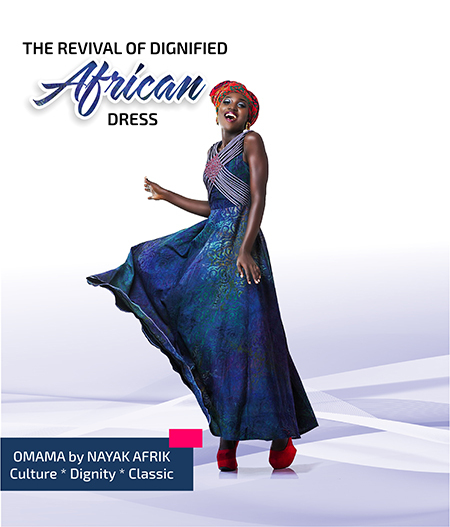 In response to the rising demand for African clothing by the middle class and Afrocentric garments and gifts by tourists, NAYAK AFRIK Managing Director Nana Yaa Konadu who is also the company’s Creative Director started a line of rich, colourful hand-dyed cloths using linens, cottons and durable stretch fabrics from high quality stock. 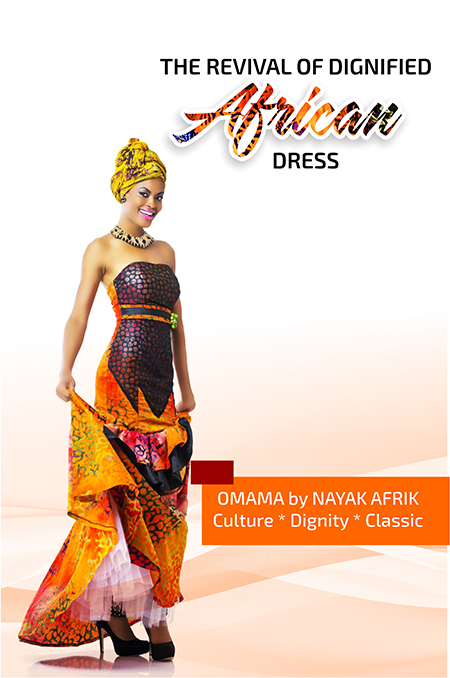 OMAMA custom fabrics by Nayak Afrik. 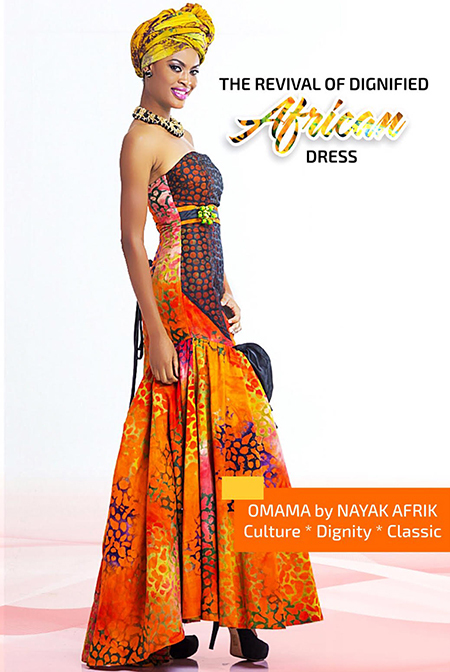 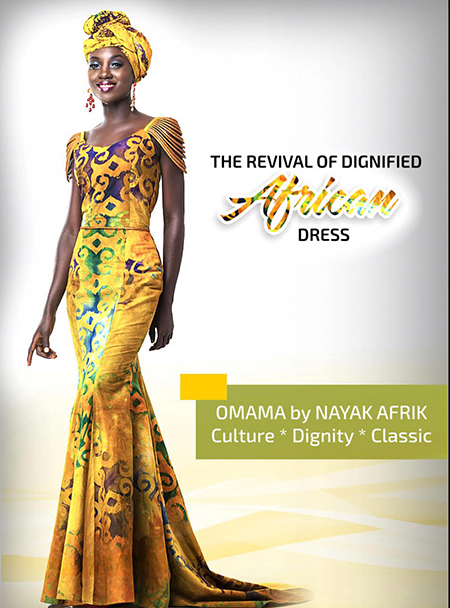 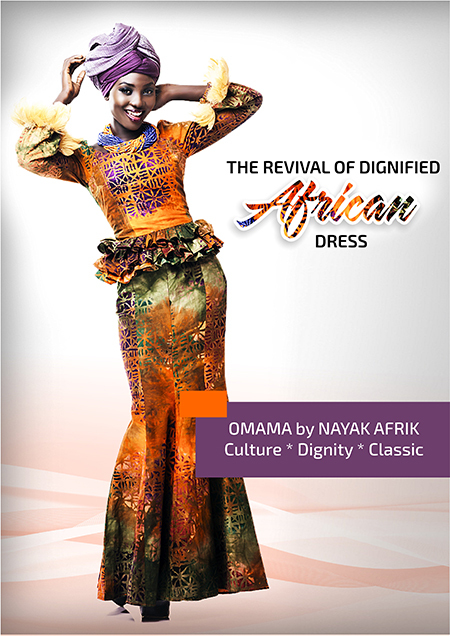 The big event to launch Omama custom fabrics by Nayak Afrik will be a store re-opening, fashion revue and cocktail for 800 guests from 4pm on Saturday 3rd October 2015, Ghana’s Trade Fair Centre, Pavilion Q.